In 2010, an FBI wire caught Gary Melius and Freeport Mayor Andrew Hardwick appealing for the Freeport Police Benevolent Association president’s support of a personnel move within the village police department. The influential PBA president, Shawn Randall, said in a deposition the following year that in a conversation he recorded, Melius and Hardwick had offered to help his union’s members obtain foreclosed homes in the village. 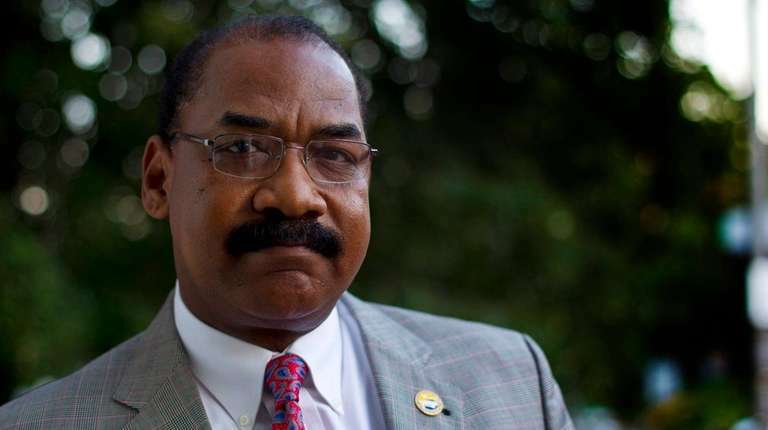 Randall gave the deposition in a federal civil rights case brought against Hardwick and the village alleging discrimination in the police department. His account reveals the extraordinary degree to which Melius, a private citizen, was involved in the workings of Freeport government. Randall testified that he’d been approached by Michael Craft, who was then an FBI special agent and said he was trying to build a public corruption case against Hardwick. Craft asked him to record conversations with Hardwick, Randall said. Randall said he wore a wire at a meeting Melius had arranged that included Hardwick. Randall testified that the conversation “went on for hours” and that Hardwick and Melius were focused on getting him to back the promotion of a detective who was a Hardwick favorite to be assistant chief. The two men made an offer to Randall, he testified, telling him “they would help PBA members get” as many as 400 foreclosed homes. “Help them purchase the homes?” an attorney asked Randall. Randall testified that he had refused to support the detective’s promotion, citing a lack of experience. The detective was not promoted. Neither Randall, who is still the PBA leader, nor Craft agreed to be interviewed. Hardwick was not charged with any crime by the federal authorities. The case in which Randall testified, which involved accusations of discriminatory hiring in the Freeport Police Department, is continuing. Will Van Sant joined Newsday as a general assignment reporter in 2009. Since 2012, he has been a member of Newsday's investigations team.